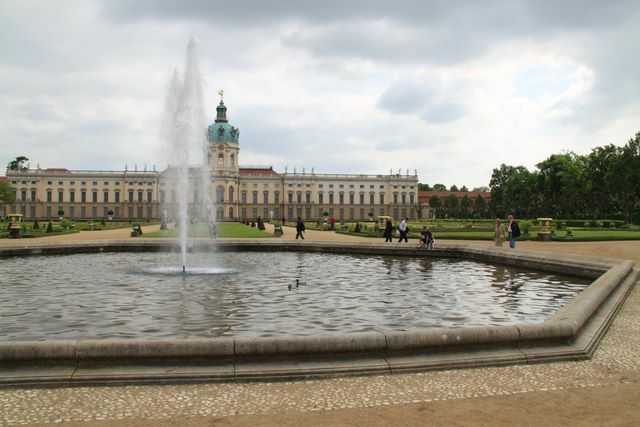 The park behind Schloss Charlottenburg was originally laid out in French Baroque style. 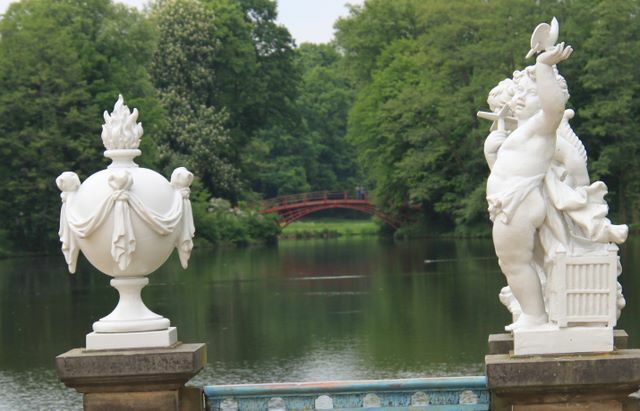 In the 18th and 19th century, the park was converted into a less formal, landscaped garden. 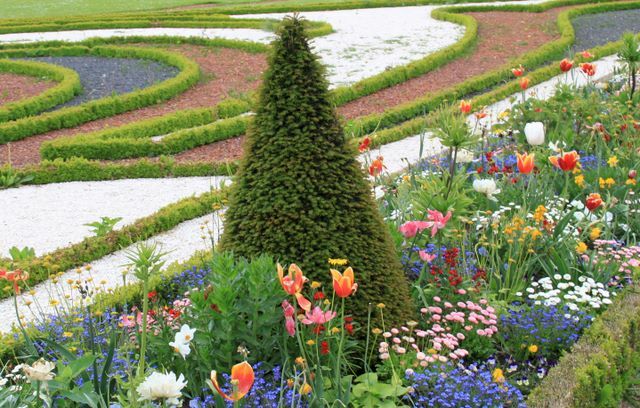 With the reconstruction of the park after the The palace seen from the park war, a small part was laid out in French style again. In the beautiful park you'll find a number of buildings such as the mausoleum, a Doric temple built in 1810 as the burial place for members of the royal family. 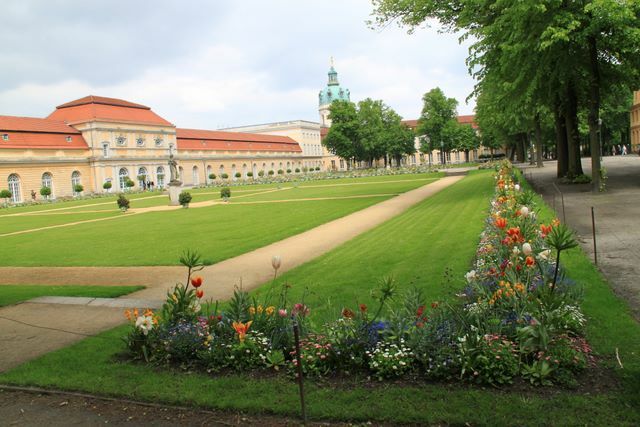 It contains the sarcophagus of Friedrich Wilhelm II among others.